President Donald Trump’s administration said on Saturday it’s taken the first official steps to ban bump stocks, accessories that enable semi-automatic rifles to fire at rates approaching fully automatic ones, the Associated Press reported. That would reverse a 2010 decision by the federal Bureau of Alcohol, Tobacco, Firearms and Explosives that found bump stocks did not amount to machine guns and could not be regulated unless Congress amended existing firearms law or passed a new one. Semi-automatic weapons fire every time the user pulls the trigger without any need to manually chamber rounds between shots. 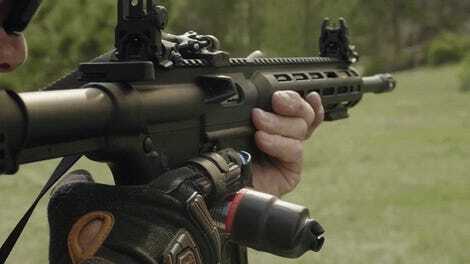 Bump stocks function by using the recoil of a firearm to push the trigger forward against the user’s finger between shots, allowing faster fire. As the Washington Post noted, there’s a lengthy process by which the DOJ would need to go about actually passing the ban, including a commenting period during which the White House will likely face the usual caterwauling about how gun laws are basically fascism. (Trump has done himself few favors on this front by muddling his own talking points.) Manufacturers are also sure to contest the ban in court—their revenue streams are increasingly dependent on selling not just guns, but elaborate firearms accessories that allow users to customize them. 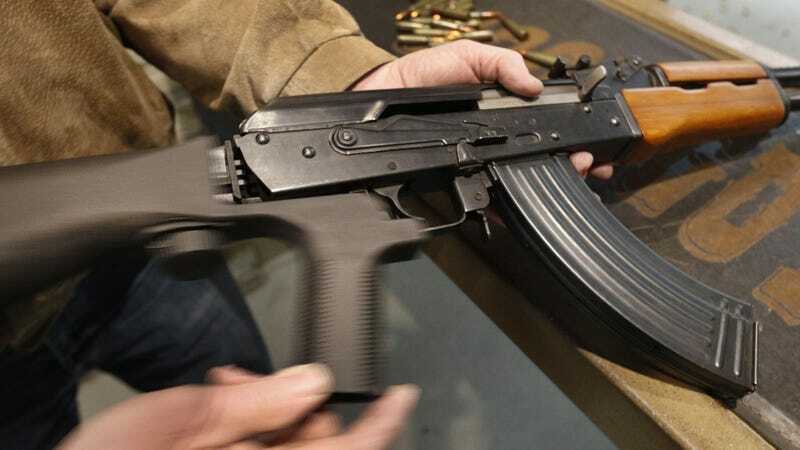 While the ATF has managed to take some accessories like the full-auto firing “AutoGlove” off the market, bump stocks are big business and likely to inspire more legal resistance. Bump stocks were used in the worst mass shooting in US history, the 2017 Las Vegas massacre which resulted in 59 deaths and 422 injuries. But even assuming the White House plans on following through with the ban rather than just dangling it out there as a distraction from its unwillingness to propose any other new gun restrictions, the Atlantic reported, experts say it’s a marginal measure that would probably end up having little impact on mass shootings.